Could we describe ‘analysing’ (Separates material or concepts into component parts so that its organizational structure may be understood. Distinguishes between facts and inferences), as part of the ‘cognitive domain’ as how to make sense of the what? And is ‘evaluating’ (Make judgments about the value of ideas or materials) the same as linking actions or things (what) to a value or a purpose (why)? 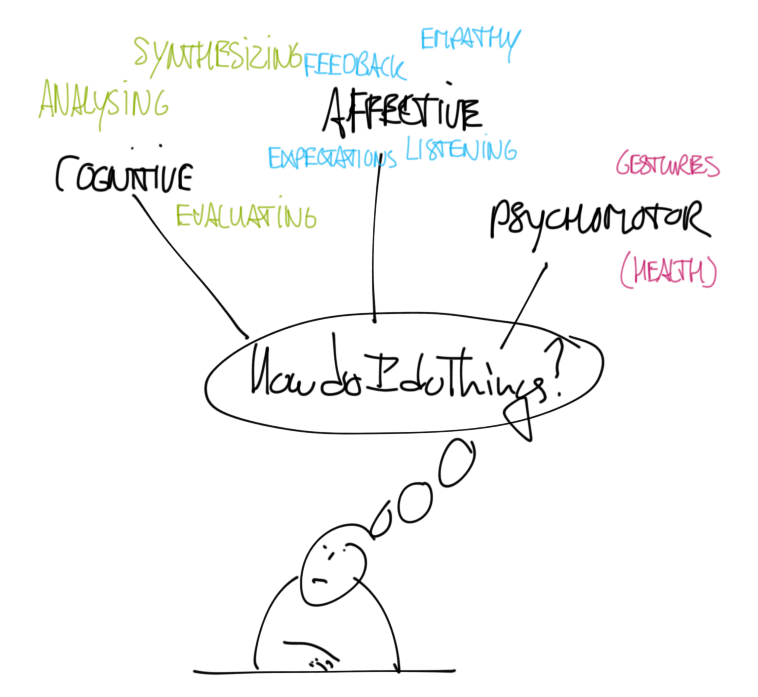 « The dubio-engine – Accellerate your (self-) awareness!